This Celeb-Favorite Skincare Brand Has the Best Introductory Collection! Just about every celebrity will note La Mer as their favorite skincare brand. A wide range of A-list stars such as Beyonce, Blake Lively, Kim Kardashian and Chrissy Teigen are obsessed with La Mer products. From serums to lotions, and of course the celebrity-approved Crème de la Mer Moisturizing Cream, La Mer has nothing short of a cult following. It’s only natural that with such an army of A-listers backing La Mer, this celebrity-favorite brand would quickly become a fan-favorite, too! For those looking to jump on this much sought-after luxury beauty brand but don’t know where to start, we’re here to help. Well Us and Nordstrom, of course! Let Us introduce the crème de la crème picks in the La Mer introductory collection (a Nordstrom exclusive available online only! ), plus a breakdown of what’s included! 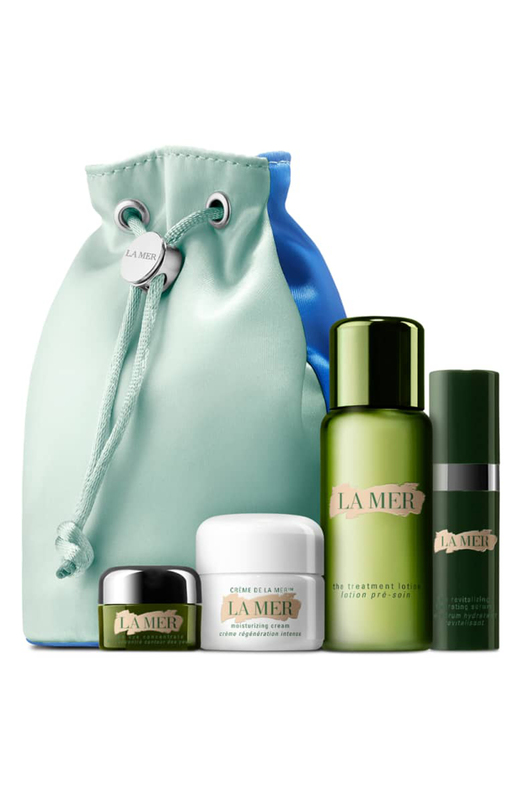 The La Mer Introductory Collection is a limited-edition quartet of hydrating treatments. First-time users will have the opportunity to get their feet wet on their first dive with La Mer. Featured within this introductory collection, users will have the chance to test and trial the treatment lotion, the revitalizing hydrating serum, the eye concentrate and, of course, the celebrity-favorite Crème de la Mer Moisturizing Cream. This Introductory Collection is a Nordstrom online exclusive and nothing short of the best introduction to all things La Mer! See it: Grab the La Mer Introductory Collection ($190 value) for only $150, available at Nordstrom! For a limited time, customers will receive a 22-piece gift set with any $125+ skincare purchase! Please note this is a Nordstrom online exclusive, while supplies last! For those looking to help improve their skin’s overall texture and even out its tone, this treatment lotion is the must-have product! This treatment lotion is a skincare essential for any first-time users that can help to transform their skin. By implementing this rich and silky lotion into our day-to-day routines, it will not only awaken our complexions but drive moisture deep within. For those looking for maximum benefits and to help keep skin energized, use a small amount of this lotion onto fingertips immediately after showering. Allow ample time for this lotion to penetrate within our skin before following up with other La Mer products! Bonus tip: use this lotion to heal all those knicks and knacks post-shaving! See it: Grab the La Mer Introductory Collection ($190 value) for only $150, available at Nordstrom! For a limited time, customers will receive a 22-piece gift set with any $125+ skincare purchase! Please note this is a Nordstrom online exclusive, while supplies last! 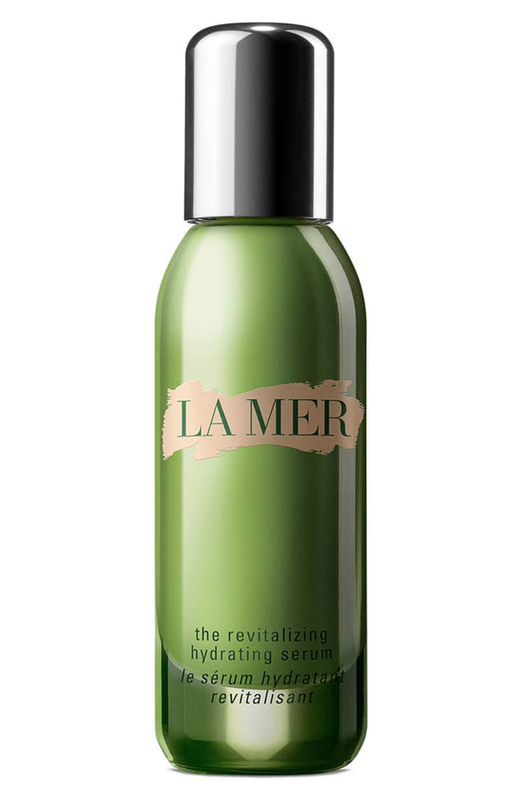 Grab the La Mer Treatment Lotion with prices starting at $95, available at Nordstrom. Also for purchase for $150 at Saks Fifth Avenue! Don’t let this bottle fool anyone because this small-but-mighty bottle delivers big results! This lightweight-but-powerful revitalizing hydrating serum was specifically designed to deeply replenish the skin by transforming it from the outside in. Infused with a sea-sourced formula (which includes ingredients like green, brown and red algae), this hydrating serum is ideal for those looking to combat dullness and uneven texture, fine lines and wrinkles and can even help to diminish the appearance of pores! See it: Grab the La Mer Introductory Collection ($190 value) for only $150, available at Nordstrom! For a limited time, customers will receive a 22-piece gift set with any $125+ skincare purchase! Please note this is a Nordstrom online exclusive, while supplies last! Grab the La Mer Revitalizing Hydrating Serum for $205, available at Nordstrom! The La Mer Eye Concentrate is ideal for users who are looking to diminish any of those dark, under-eye circles or lines. Certainly, we’re not alone when we say that our eyes are our most impacted areas. Much to our liking, this concentrated cream looks to reveal luminous vitality in the eye area! This deeply emollient treatment won’t just hydrate under-eye areas, but can help to soften the look of those oh-so-annoying lines. In doing such, this concentrate hopes to reveal a smoother, healthy under-eye appearance. See it: Grab the La Mer Introductory Collection ($190 value) for only $150, available at Nordstrom! For a limited time, customers will receive a 22-piece gift set with any $125+ skincare purchase! Please note this is a Nordstrom online exclusive, while supplies last! 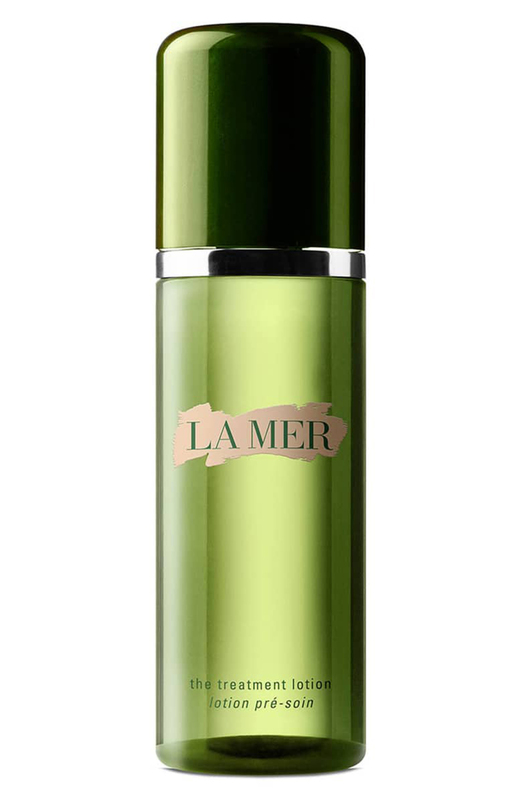 Grab the La Mer Eye Concentrate for $215, available at Nordstrom! Also for purchase at $215, available at Violet Grey! 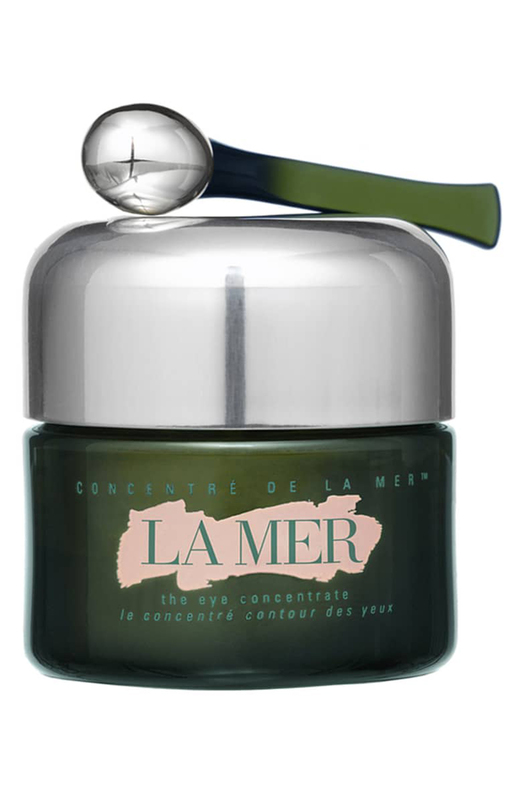 The most notable product within the La Mer product line is the Crème de la Mer Moisturizing Cream, of course! Designed for users with drier skin, this luxuriously rich cream looks to soothe, moisturize and heal away all that unwanted dry skin! It’s a no-brainer why this beloved, best-selling cream is also a celebrity favorite. This moisturizing cream was specifically formulated to help restore our skin’s natural vibrancy. See it: Grab the La Mer Introductory Collection ($190 value) for only $150, available at Nordstrom! For a limited time, customers will receive a 22-piece gift set with any $125+ skincare purchase! Please note this is a Nordstrom online exclusive, while supplies last! 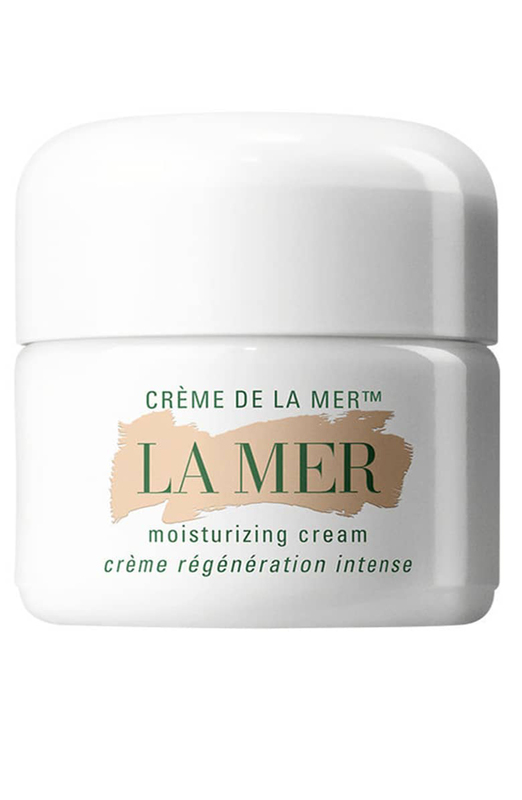 Grab the Crème de la Mer Moisturizing Cream with prices starting at $85, available at Nordstrom! Also available for $175, at Violet Grey! Or with prices starting at $175, available at Saks Fifth Avenue! Not your style? Check out these additional skincare products included in the Buy & Save promotion, available at Nordstrom!